The Oceanic Group, a not-for-profit society organised a seminar on Corporate Social Responsibility (CSR) and Climate Change (CC) last month. Mr. J.K. Dadoo, Secretary, Environment, Forest & Wildlife, Govt. of N.C.T. 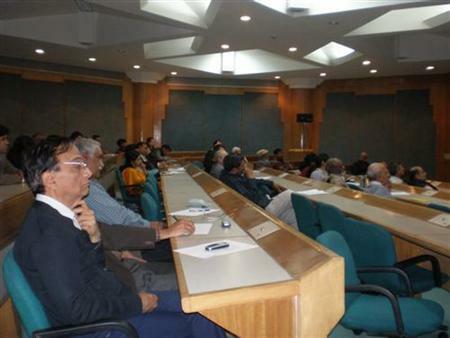 of Delhi and Chairperson of the Delhi Pollution Control Committee (DPCC) chaired the seminar while Dr. Ajay Mathur, Director-General, Bureau of Energy Efficiency (BEE) and Mr. Ramesh Menon, an environmental journalist were the distinguished speakers for the event. The seminar began with Mr. Dadoo welcoming everyone followed by the screening of “Global Warning”, a 20 minute film which focuses on the impact of climate change on Kolkata, coastal areas in Orissa and the Andaman and Nicobar Islands and the threats faced by these regions. The stage was then honoured by the presence and an excellent presentation on the topic of the day, by Mr. J.K. Dadoo. Mr. Dadoo began the presentation by defining and explaining the very essence of CSR. He informed that Corporate Social responsibility is best defined by the World Business Council as “The continuing commitment by business to behave ethically and contribute to economic development, while improving the quality of life of the workforce and their families as well as of the local community and society at large”. Based on the impact of their activities on customers, employees, shareholders, communities and the environment, for all aspects of their operations, CSR is a concept whereby organizations should consider the interests of the society. Mr. Dadoo further engaged the audience by talking about the Global scenario and the Indian scenario of CSR before coming to the important and much awaited topic of CSR and Delhi! Mr. Dadoo did not waste much time in explaining the situation of Delhi’s environment or even in all the good work being done for a better environment for the fact that he was keen to promote more such good work. With a heading as direct as “Priority areas for CSR in respect of Environment Sector in Delhi”, he categorically listed the need of the hour in very simple and straightforward bullets. His audience capturing presentation was followed by a talk by Dr. Ajay Mathur who started with emphasizing on the need of corporate houses to understand CSR, Environmental Management Systems, Energy Audits, etc. as not just an add-on but an integral part of their working. His talk covered the issues of energy costs and conservation and he seemed surprised at the fact that a lot of new corporate office complexes are now using more glass on the outside than ever before! After being reminded by Mr. Dadoo, Mr Mathur also talked about his bureau’s promotion of the compact fluorescent lamps (CFLs) and the facilitation of the phase out of the incandescent bulb. The stage was then handed over to Mr. Ramesh Menon who did not wish to speak much for he maintained that his film had done all the talking on his behalf. He explained the need to communicate environment to business houses and to create an atmosphere for this today lest we may irreversibly damage the atmosphere above us tomorrow. He concluded with talking about individual responsibility of citizens towards maintaining a cleaner, greener city and a more promising planet. The stage was finally opened for the audience which was now enlightened and full of questions and comments. A lot of people wanted to find out how they could actually run the projects mentioned by Mr. Dadoo in his presentation. To this, Mr. Dadoo pointed out to Ms. Usha Srinivasan of Development Alternatives who has successfully worked on such projects with the support from Dept. of Environment, Govt. of N.C.T of Delhi. Ms. Bahar Dutt of CNN-IBN and Ms. Madhur Motwani of YouthReach raised the issue of the tree fellings taking place in the city owing to the massive construction work. Both of them were particularly concerned with the ineffective transplantation of trees. Ms. Motwani explained the transplantation of a tree as aborting of a child and putting it somewhere else. Mr. Dadoo responded with stating that he understood the complexities involved in such a situation very well and that permissions to transplant trees were given least priority by his Department. Further, Mr. Ranmal Jhala inquired about what the Government was doing to promote cycles in the city. He was informed that within its capacity the Government had plans to promote cycles but that it was first important to promote the use of Metro that had been brought into the city at a huge cost and that though popular, a lot of Delhi’s population still prefers to use cars, etc. to reach places. With this Mr. Ajit Kumar thanked Mr. Dadoo, Mr. Mathur, Mr. Menon and the audience and concluded the seminar. The audience still wanted more and an extensive discussion followed the event. Ban the Bulb: Gandhigiri, Greenpeace style! PrevWorld Water Day and Holi Greetings! That’s indeed sad! I know that the process of transplanting trees is indeed quite complicated, but it should be seen that the need shouldn’t arise in the first place. Theere are umpteen examples of development-plans being modified, transformed & even scrapped due to the conflicting interests of the residents of ‘illegal-colonies, land-mafia, high-profile people etc. Why is that the ‘greens’ are always given the least priority by the govt.? Whatever happened to the various cycle-lanes that were proposed & built alongside the busy-roads of Delhi? I fail to understand why do we limit CSR to only business entities ! What about government entities? How many ministry offices are ISO 14001 certified or energy audited? This is the simplest thing to start with commitment on Environment and climate change. How much paper/resources/energy wastage do take place in these offices? We are not even able to tackle municipal soild waste management problem in Delhi even after spending crores of rupees so far ? Minister sits right in Delhi and witnesses these problems everyday. Does government follow Green Procurement Policy ? How many staff of government offices are aware about basic environmental issues annd this very lack of awareness ultimately results in environmentally poor decison making. Someitmes i feel that we raise big issues in such fourms and end up covering small problems, which are right at the root of big problems. @raghu: Indeed, development should be around the and not through the greens. Also, we may have all the lanes that we wish for, but unless there is no awareness and no sensivity amongst us, till how long will the lanes work, is anybody’s guess. 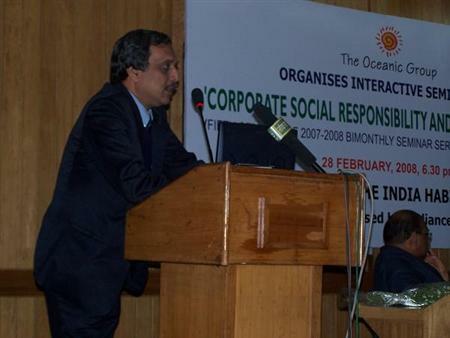 @K D Bhardwaj: CSR is important and should go beyond just the corporates. In fact, semi-governmental organisations also need to include it in their mandate while the Govt. should be sensitive towards environmental issues in making any decision it has to. At the same time, CSR needs to go beyond just ‘corporate’ and we must also emphasize the need for ‘Citizens Social Responsibility’ as well. Do you guy’s believe in Michael Jackson dead? I don’t. His is a legend for me and I fan of his lyrics for a long time. Even my kind’s like it, there is a big loss for us. I still don’t believe in that, so sad. RegNew.ru – Качественный, удобный и доступный для каждого сервис мгновенной регистрации доменов в зоне RU. DNS серверы – бесплатно! Вы самостоятельно регистрируете домены. Регистрация доменов занимает не более 5 минут! Есть Private whois. This is the website where you will get all the info to get rid of itchy eyes and basically it is made up by an eye specialist who works and share his knowledge with people. So do not worry about if you have got itchy eyes and it is really a normal disease which can be treated naturally in few days.